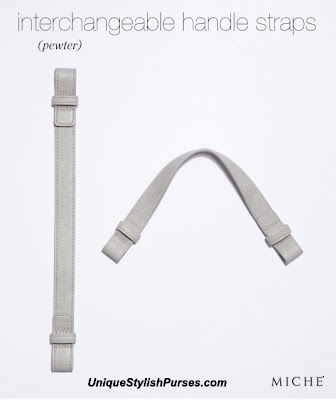 Add class to your Pewter Interchangeable Handles with this pair of grey faux leather straps. An ideal match for the Gretchen Shells, these straps complement either silver, antique brass or gold hardware. 13” long x 1” wide.